The latest mobile phones that are around today are multifunctional. 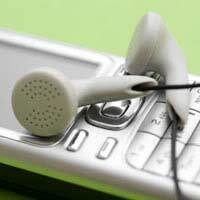 You can still use them to make calls and for texting, but they also can double up as an mp3 player, an mp4 video player, a video camera, a high resolution photographic camera, a radio, a dictation machine and as a mini-computer for emails and surfing the internet. Although some phones have larger screens, very large in the case of a touch screen phone, mobiles do still tend to look very similar, no matter what you use them for. A new concept in mobiles has just been launched so that you can change the look of your mobile so suit your preferred function. The new Modu phone takes the idea of having different phone covers one step further. It provides a phone system that behaves a bit like a transformer phone, with different shapes, sizes and looks. The core mobile phone component is the same for all of the phone’s functions but it fits into a range of jackets. You can put your mobile core into an mp3 jacket, or a camera jacket, or a jacket that acts as a digital photo frame. The early release of the concept Modu phone will expand as the phone is sold and developed and people in Israel, where the phone was developed will be able to get a Modu before June 2009. Customers in Russia and Italy may be able to get hold of it shortly after than but the majority of potential American and European customers will have to wait longer, probably until the end of 2009, or even into 2010. Surprisingly, the phone will not be too expensive. Estimates put the probably price of the handset at around £100 but the jackets may be sold separately. Latest estimates put the price of the core phone with two jackets at around £180. When the phone is launched it will be possible to buy a night jacket, complete with lights that flash, a street jacket with music keys and speakers that deliver high quality stereo sound. There will also be a normal phone jacket but that will be available in different colours and designs so you can still customise your phone. There is an option to have the Modu put into a satellite navigation jacket, which looks just like a sat-nav system, but you can still use it to call people. You can also have a jacket that looks like a car stereo, and actually fits into a car stereo slot. It doesn’t play CDs but it does have a radio function and stored music on its hard drive. Like the sat-nav option, you can also still use your car stereo jacket to phone people. Future possibilities include a jacket with a built in wireless modem system so that it becomes a mini internet capable computer. Put the core into a clock radio jacket and it will wake you up with your favourite music.